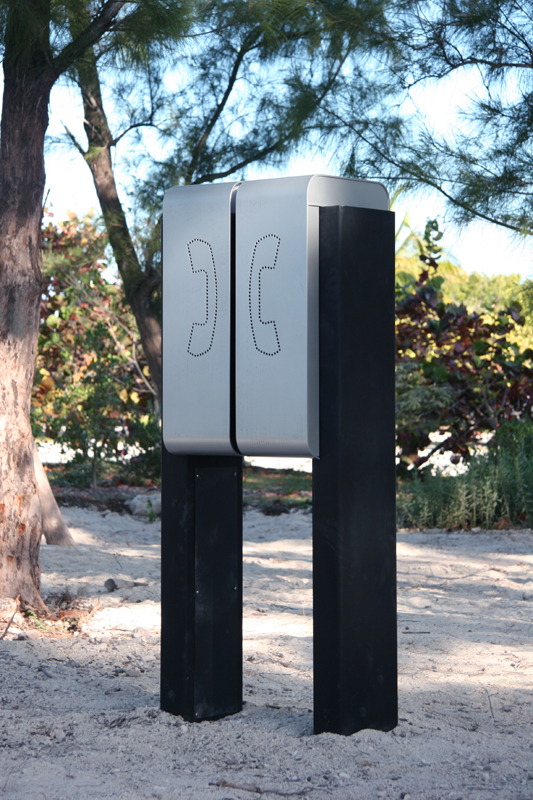 Perfect Disconnect is a site-specific sound composition/installation that consists of two wireless speakers deceptively installed inside of two phone booths. The phone booths face one another with a small gap between them. 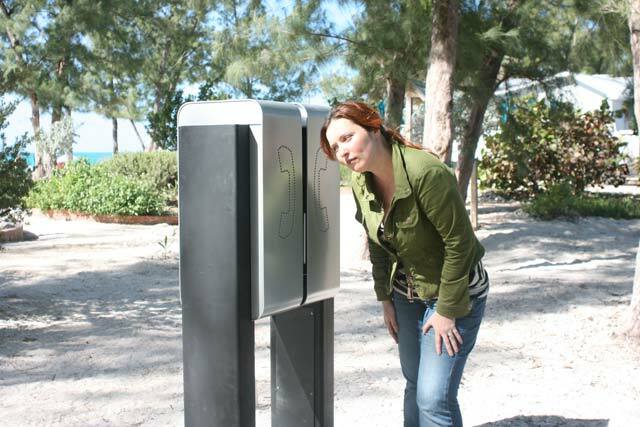 They are sited in a location out of context—or where a phone booth seems an odd placement. The sounds emitting from the booth are an assortment of pay phone rings as well as the noise of the phone of the hook, busy signal, etc. This plays in a continuous loop—a conversation between the booths themselves. As well the viewer/listener is unable to interfere or “answer” the ringing phone. The title Perfect Disconnect directly references the work Perfect Lovers by the Cuban-American Artist Felix Gonzalez-Torres. In his work two clocks are side by side in perfect unison. In the work Perfect Disconnect the phone booths act figuratively—having a conversation or public argument of sorts that never gets anywhere.